India will need to win the battle against endemic corruption if it has to survive, prosper and achieve the status of a developed economy and an inclusive society. To design a comprehensive anti-corruption program we need to (i) appreciate the core elements that lead to corrupt behavior by public officials and (ii) understand the mechanics of corruption. These elements range from poor policy formulation, low use of technology, inappropriate assignment of discretion and lack of transparency and accountability. The authors argue that improvements in efficiency of governance and anti corruption efforts will need to go hand in hand. The war can be won as it has been in other democracies only through poli8tical action driven by pressure from citizens to demand both greater efficiency and honesty from their government. Bibek debroy is an economist and is currently a professor with the centre for policy research, Delhi. In the past, he was worked in universities, management institutes, research organizations, chambers of commerce and for the government. His spe3cific research interests are healthy, education, law, governance and trade. He is the author/editor of several books, academic papers and popular articles. He has been a columnist and consulting editor with several newspapers and magazines and is presently, a columnist and contributing editor with Economic Times. Laveesh Bhandari has been studying the Indian economy in its many facets for over a decade and a half. His research spans all sectors, economic growth, regulation and policy. He currently heads indicus Analytics monitorning the performance of the Indian economy, states, districts, cities and consumer markets. Previously he has conducted policy research at NCAER and taught economics at Boston University and IIT Delhi. He has published widely and authored many reports and publications and writes frequently in national and international dailies. Doubtlessly, corruption has now become the critical constraint in India meeting its tryst with destiny. Evidence from studies conducted by academia and policy institutions and news reports have been revealing a sorry picture of corruption, bribery, embezzlement where those holding public office have been utilizing the power of the state for their personal benefit. Despite all of this, there is little documented evidence that meets with standard academic rigour. That is but natural given the illegality of such transactions. But casual empirics, available on a grand scale, combined with personal experiences of most Indians are evidence enough - corruption has taken over. This study was conducted with a simple objective, to document the scale of the problem and to understand its mechanics. The latter is more important than the former, for only an adequate understanding of the micro-economic foundations of corruption can appropriate policy reform occur. We attempt to do the same, drawing from media reports, studies from academia and policy institutions, and those conducted by the authors. We find that (a) corruption has been documented in just about every sector of the Indian state; across different departments and ministries, public sector and para-statals, Union, State and Local governments (b) it has achieved a high level of sophistication where public officials share its benefits in an ongoing manner and where implicit contracts driven by repeated interactions and backed by a system of punishments through transfers and other mechanisms are able to sustain it through changes in governments, and (c) the political system, the bureaucracy, and the technocracy have been truly integrated and thereby eliminated the cross-checks and balances built by India's constitution makers. Consequently we argue that the battle against corruption will need to be long drawn and at different levels driven by the specifics of the situation that needs to be corrected. In all of this political will and technology are the only two un-changeable in that politics will need to drive the fight against corruption and technology will need to be used in designing, monitoring, and enforcement of anti-corruption efforts. This volume has benefitted from the inputs of many different experts and laypersons all of whom would be difficult to identify individually. The first thought to undertake this exercise was driven by a series of articles published in Prabhat Khabar under the able guidance of Harivansh ji that document specific instances of bribery and corruption. Other websites such as ipaidabribe.com also deserve mention as they reveal many different kinds of corruption. We have also benefitted from the help and advice of Sumita Kale, Abhijit Sarkar, D. B. Gupta, Minakshi Chakraborty, Swati Gupta, Anil Bharadwa], and Sunil Bhatt. Special thanks are also in order to Mr. KPR Nair for enabling the quick publication of this volume. We welcome any comments and take responsibility over any errors. Most texts spanning the crests and troughs of Indian civilization allude to corruption in some form. But of course corruption and bribery survived in one form or another throughout the ages, from the Vedic period through the time of Ashoka, Tughlaqs, Mughals, colonial rule to of course current times.' Throughout history, states and rulers have grappled with this problem in many different ways. Some would have succeeded, leading to long periods of fairly stable and prosperous regimes. If history tells us anything, it is simply this: corruption always lurks around, but when the state becomes weak and the rulers get careless it takes over, destroying both the rulers and the state. Corruption itself has been defined in many ways, spanning concepts of ethics, morality, incentives, responsibility and accountability and covering elected officials and leaders, bureaucracy, staff of state owned enterprises and even parastatals. A range of definitions exist, but the lowest common denominator of the various definitions has to do with use of a public office for private benefits. An even narrower definition may involve only those actions that are not as per the specified rules and procedures. A wider one may include un-ethical actions irrespective of the established rules. Similarly a narrow definition may only include direct material benefits. A wider one may also include political gains. And there can be many other variations. "A government officer, not caring to know the information ... and neglecting to supervise the despatch of work in his own department as regulated, may occasion loss of revenue to the government owing to his ignorance, or owing to his idleness when he is too weak to endure the trouble of activity, or due to inadvertence in perceiving ... , or by being timid when he is afraid of clamour, unrighteousness, and untoward results, or owing to selfish desire when he is favourably disposed towards those who are desirous to achieve their own selfish ends, or by cruelty ... , or by making use of false balance, false measures, and false calculation owing to greediness. It goes on to observe "Just as it is impossible not to taste the honey or the poison that finds itself at the tip of the tongue, so it is impossible for a government servant not to eat up, at least, a bit of the king's revenue. And then laments of the impossibility of the situation "Just as fish moving under water cannot possibly be found out either as drinking or not drinking water, so government servants employed in the government work cannot be found out. Note that for Kautilya corruption includes idleness, inadvertence, timidity, loyalty, lack of action, anything that leads to inefficiency and loss of revenues for the state. Three points are pertinent. First, given such a wide working definition it is apparent that there will always be some incentive for a government official to indulge in corrupt behavior, as defined. Second, given such a range of situations that can be deemed to be corruption, it would be impossible to differentiate between corruption and honesty in most real life situations. And third and most important, corruption as a concept becomes much more approachable for us precisely because we can identify it with the least amount of subjectivity. At the same time, one needs to recognize that any activity or non-activity that leads to inefficiency in governance and loss of revenues for the state are issues to be concerned about, and will in most cases, be closely associated with corruption. Indeed, inefficiency and corruption go hand in hand; while corruption creates an environment that incentivizes inefficient actions on the one hand, inefficiencies and wastage increase the incentive for corrupt behavior on the other. Though getting rid of one may not eliminate the other, but they are both outcomes of a similar set of underlying forces. Corruption today has become endemic and all-pervasive; hardly any interaction with agents of the state is devoid of, at the very least, an underlying thought of a bribe. Decisions and actions of the state that are not accompanied by corruption, it appears, are the exception and subject of wonder among one and all. Not surprisingly, India ranks quite low among most international studies on corruption, and these studies are rarely contested. Other sections refer to some such studies and reports, but it is not merely international studies. The Planning Commission of India's website lists hundreds of studies that refer to corruption and bribery. A Google search on the Planning Commission website shows that for the last few years, experts assigned by India's planner have been pointing to corruption as a serious problem in almost all components of the state. The top 100 results from such a search are indicative of the mess that India finds itself in today and are listed in the Appendix. Undoubtedly corruption has taken over India. It rules over the country with its stranglehold in every aspect of the state and consequently in all aspects of life of citizens of the state. Across various tiers of government, across ministries and departments, across legislative, executive and judicial functions, across public, quasi-public and publicly owned enterprises, corruption and bribery have become a common language, a universally recognized medium of interaction and transaction between the citizens and the government. And the parasite has eaten into the edifice of the state. Lower level bureaucracy and police thrive on bribes and baksheesh, higher level on grease money and scams. The lower level shares some of the rewards with its superiors to allow them to continue; the superiors share with the politicians; who in turn share with small time street leaders, media and even the electorate. The state withers away and in many parts of India, what is left of the state, it appears, is only held together due to corruption and a sophisticated system of sharing the spoils. Needless to say, there are a few who do not directly indulge in such behavior. But survival instincts make them look the other way, those who do not are either eased into non-descript positions or hounded and pursued by a system that depends upon their acquiescence. Studies on corruption in India and internationally have shown its many facets. Though there is some agreement on what causes corruption and how to address it at a macro level, specific measures rarely have a national consensus. This is natural, given the expanse and diversity of such practices. Like the proverbial blind men and the elephant, depending upon what aspect one looks at, corruption seems to be many different things suggesting many different (often opposing) solutions. Kautilya for instance mentions many different forms of corruption. "There are about forty ways of embezzlement: what is realised earlier is entered later on; what is realised later is entered earlier; what ought to be realised is not realised; what is hard to realise is shown as realised; what is collected is shown as not collected; what has not been collected is shown as collected; what is collected in part is entered as collected in full; what is collected in full is entered as collected in part; what is collected is of one sort, while what is entered is of another sort; what is realised from one source is shown as realised from another; what is payable is not paid; what is not payable is paid; not paid in time; paid untimely; small gifts made large gifts; large gifts made small gifts; what is gifted is of one sort while what is entered is of another; the real done is one while the person entered (in the register) as done is another; what has been taken into (the treasury) is removed while what has not been credited to it is shown as credited; raw materials that are not paid for are entered, while those that are paid for are not entered; an aggregate is scattered in pieces; scattered items are converted into an aggregate; commodities of greater value are bartered for those of small value; what is of smaller value is bartered for one of greater value; price of commodities enhanced; price of commodities lowered; number of nights increased; number of nights decreased; the year not in harmony with its months; the month not in harmony with its days; inconsistency in the transactions carried on with personal supervision (sarnagamavishanah), misrepresentation of the source of income; inconsistency in giving charities; incongruity in representing the work turned out; inconsistency in dealing with fixed items; misrepresentation of test marks or the standard of fineness (of gold and silver); misrepresentation of prices of commodities; making use of false weight and measures; deception in counting articles; and making use of false cubic measures such as bhajan these are the several ways of embezzlement." In 2008, UNDP produced a primer on corruption which is more like a taxonomy or glossary (italics ours). "Bribery is the act of offering someone money, services or other inducements to persuade him or her to do something in return. Among the Common synonyms for bribes are kickbacks, baksheesh, payola, hush money, sweetener, protection money, boodle and gratuity. Fraud is a misrepresentation done to obtain unfair advantage by giving or receiving false or misleading information. Money laundering involves the depositing and transferring of money and other proceeds of illegal activities, to legitimize these proceeds. Extortion is the unlawful demand or receipt of properry, money or sensitive information through the use of force or threat. It is also called blackmail and extraction. A kickback is a form of bribe referring to an illegal secret payment made as a return for a favour or service rendered. The term is often used to describe in an 'innocent' way the returns of a corrupt or illegal transaction or the gains from rendering a special service. Peddling influence occurs when an individual solicits benefits in exchange for using his or her influence to unfairly advance the interests of a particular person or parry. The aim of transparency and disclosure laws is to expose such agreements. Cronyism/clientelism refers to the favourable treatment of friends and associates in the distribution of resources and positions, regardless of their objective qualifications. Nepotism is a form of favouritism that involves family relationships. Its most usual form is when a person exploits his or her power and authoriry to procure jobs or other favours for relatives. Patronage refers to the support or sponsorship by a patron (a wealthy or influential guardian). Patronage is used, for instance, to make appointments to government jobs, facilitate promotions, confer favours, and distribute contracts for work. Patronage transgresses the boundaries of political influence and violates the principles of merit and competition because providers of patronage (patrons) and receivers (clients) form a network bypassing existing lawful systems, through which access to various resources is obtained. Insider trading involves the use of information secured by an agent during the course of duty for personal gain. Speed money is paid to quicken processes caused by bureaucratic delays and shortage of resources. It normally occurs in offices where licences, permits, inspection certificates and clearance documents are processed. Embezzlement is the misappropriation of property or funds legally entrusted to someone in their formal position as an agent or guardian. Abuse of public property refers to the inappropriate use of public financial, human and infrastructure resources. For example, public labour might be diverted to individual use while public properties get hired out for private gain. Such abuse is more common with respect to services offered freely or at subsidised rates by the state and its subsidiaries where such services are either scarce or beyond the reach of the majority of the people. It also tends to be more prevalent where there is no citizens' oversight facilities and where there is obvious monopoly of power by public officials, which is exercised with impunity." No such taxonomy can ever be perfect and one form of corruption spills over into another. The point is not to get into the nitty-gritty of legal definitions of corruption right now. For the moment, it is sufficient to note that corruption is most often defined as public corruption, corruption committed by public servants, sometimes also referred to as bureaucratic corruption. Most discussions of corruption in the economic literature also define corruption in this sense," Corruption in the private sector is increasingly regarded as an issue and perhaps India's laws will also eventually capture this. However, even when it does, there is a difference between corruption that is illegal and corruption that is perfectly legal. Though there is no absolute definition of crime, definitions of what is crime often fall short of what is perceived to be crime. Etymologically, the word corruption means to abuse or destroy. Influencing the outcome of elections may not always be illegal in law. Lobbying, the use of patronage and networks and the use of one's influence may not also be illegal in law. After the global financial crisis of 2007-08, many instances have come to light in the financial sectors of developed countries. These may not be necessarily be illegal. However, one should be careful in citing cross-country studies that say that developing countries are more corrupt than developed countries. It may be more correct to say that developed countries have forms of corruption that are legal, while developing countries have forms of corruption that are illegal, though law itself is subject to change and is not cast in stone. Nevertheless, it is evident that laws and how they are applied determine the level of corruption in a country - whether developed or developing. A strong state is not necessarily a state with numerous laws. If anything, the opposite is the case. There is a famous quote attributed to Gaius Cornelius Tacitus (56-117 CE). ''And now bills were passed, not only for national objects but for individual cases, and laws were most numerous when the commonwealth was most corrupt." In simpler form, this is often quoted as, "The more corrupt the state, the more laws." A strong state does not require more laws. It requires fewer laws that are enforced. 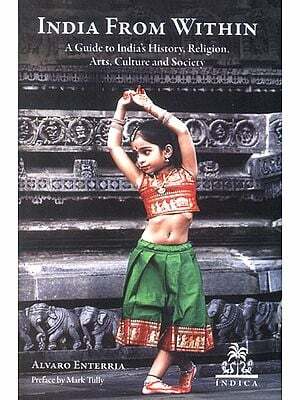 India: A Cultural Decline or Revival?